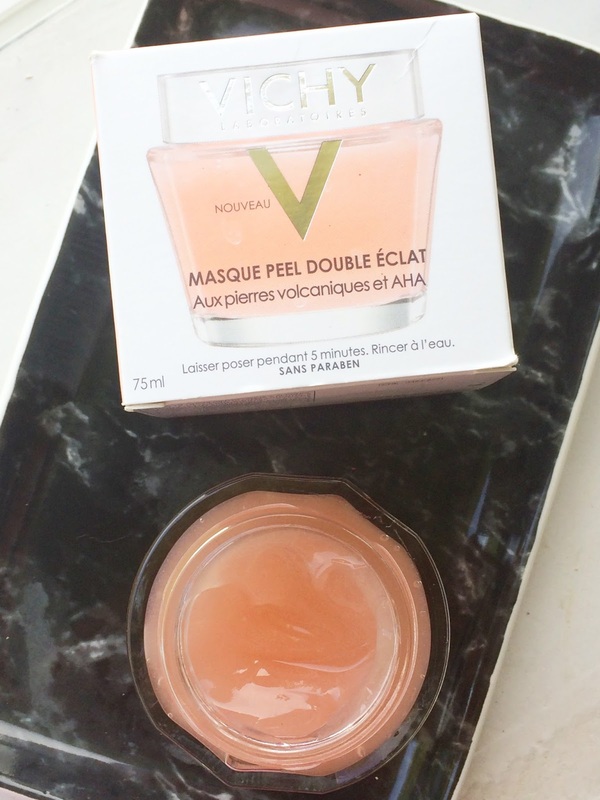 REVIEW: Vichy Double Glow Peel Mask - a dupe for Oskia Renaissance Mask? We all know by now that I'm a skincare fanatic but it can be an expensive obsession so I like to keep my eye out for products in the mid-price range that might replace at least some of the more expensive products in my regime. When I read about Vichy's latest mask releases, the one that grabbed my attention immediately was the Double Glow Peel Mask. It is aimed at skin that lacks radiance and uses volcanic rock and AHAs to refine and renew the skin. I am obsessed with Oskia Renaissance Mask and hoped it might be a dupe for that at around 1/3 of the price. It's been a while since I used a Vichy product but it's a brand that I rate highly and my mother used their products a lot over the years and has really beautiful skin that looks a lot younger than her 60+ years and she has sensitive skin, like I do, but due to how gentle the products we've used are, neither of us has had a reaction to any of their products so I would recommend the brand to others with sensitive skin. The Vichy mask contains both chemical and physical exfoliators. The chemical exfoliator is in the form of AHAs, which are from fruit acids, as they are in the Oskia mask. These AHAs remove dead skin cells, thereby renewing the skin and improving the texture. The physical exfoliant is the volcanic rock, which buffs the skin and should reveal brighter skin and the combination of the two should give an overall glow. I occasionally use physical exfoliators but prefer the chemical variety because they are gentler on my skin and more effective but the volcanic rock in this mask is very fine so it will not scratch or tear the skin. It also contains Vichy's Thermal water, which aims to soothe the skin. The mask itself has a similar colour to the Oskia mask, but the texture is much runnier - I would describe it as a light gel whereas the Oskia mask is thicker but both apply and spread easily and evenly. The instructions say to leave the mask on for 5 minutes and I must admit that the first time I used it, it was around the 8 minute mark before I removed it and my skin was quite red afterwards and felt quite tingly. Since then, I have left it for just 5 minutes and didn't experience the redness. After every mask, I can say that my skin does have a bit more glow and radiance to it, but I haven't seen any improvement in texture. 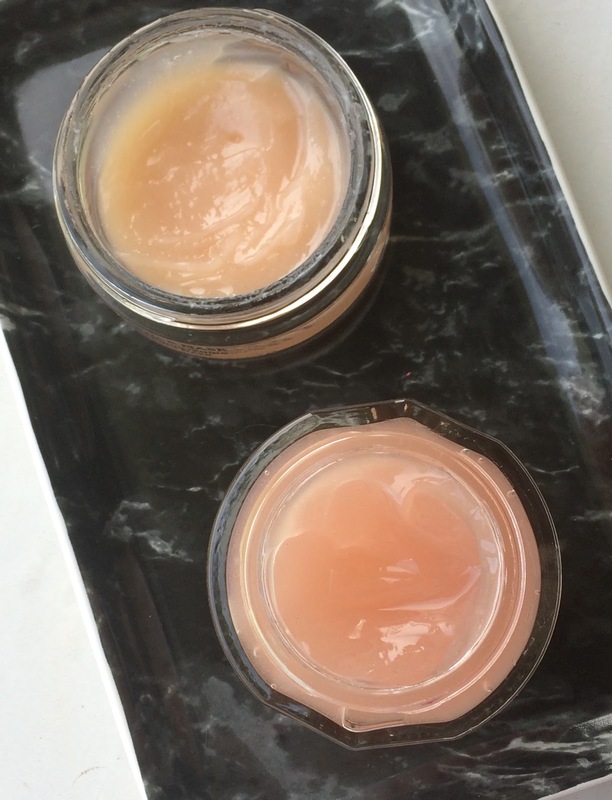 Whilst it feels quite soft to touch, the results are nowhere near as good as when I use Oskia Renaissance mask or Ren Glycolactic Radiance Renewal Mask. However, given the price difference, I don't really expect to get the same results. I would describe the Vichy mask as the baby sister, the Ren mask as the middle sister and the Oskia mask as the big sister in the Radiance/Glow mask family. If you are new to chemical exfoliators, don't have many texture issues or have very sensitive skin then this Vichy product is a good basic starter mask but if you already use and love the Oskia mask then sadly you will not find this to be a dupe. In its own right, it is a pretty good mask and I will continue to use it but it won't replace the Oskia mask in my collection but I'm not sure that I will find another mask to live up to that given the difference it has made to my skin. I would love to know if you have tried this mask or others in the new range & if so, what your thoughts on them are? Also what your favourite type of mask is? Please tell me in the comments below!